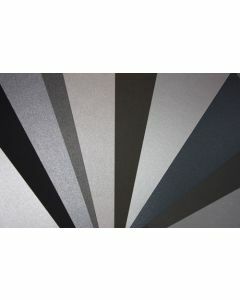 Full range of bulk metallic paper and shimmer papers for sale at PaperPapers. Filter sizes to find the metallic shimmer paper that complements the project need. Most popular size for everyday projects falls under 8-1/2-x-11 letter size papers. Browse the full range of sizes for our metallic shimmer paper and make something beautiful! (To make a successful paper selection, it is important to have a brief understanding of text weight and cover weight -cardstock- papers.) Jump to our popular help page to get more paper help. If you have any questions about our bulk metallic paper and shimmer paper, please contact us at your convenience. Browse our selection below!